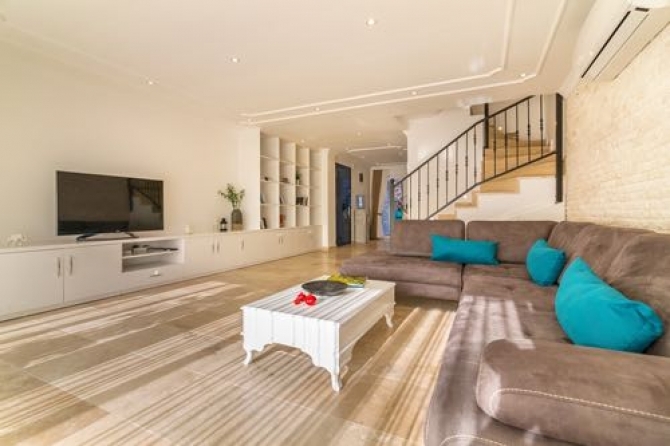 This stunning ground floor duplex apartment can be found in the sophisticated town of Kalkan which is home to some of the most beautiful stunning sea views imaginable. 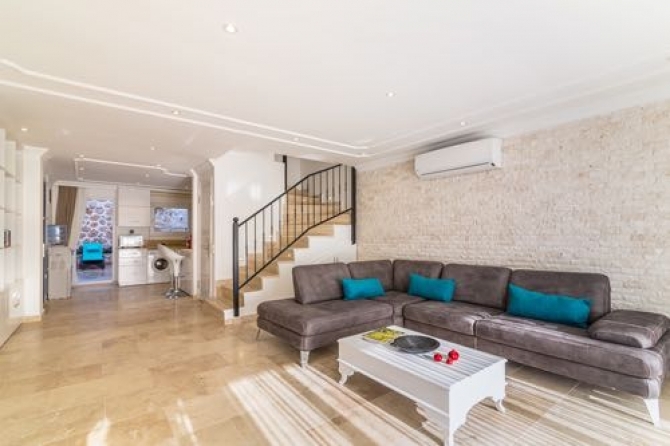 This property has been built over 2 floors, with a modern and stylish design, there 3 great sized bedrooms one being a master bedroom with en suite bathroom each having their own private balcony with tremendous views. The kitchen and lounge has an open planned design the kitchen has a breakfast bar and a court yard to the back with built in stone BBQ and relaxing seating area. The lounge is very bright and spacious with direct access to the front terrace and private swimming pool. 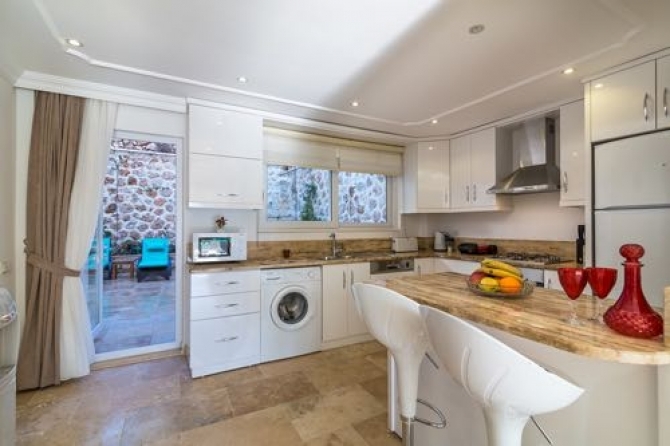 This apartment is found just a short walking away from Kalkan Town Centre where you will find many local amenities including supermarkets, banks, rooftop restaurants, bars and boutique hotels. 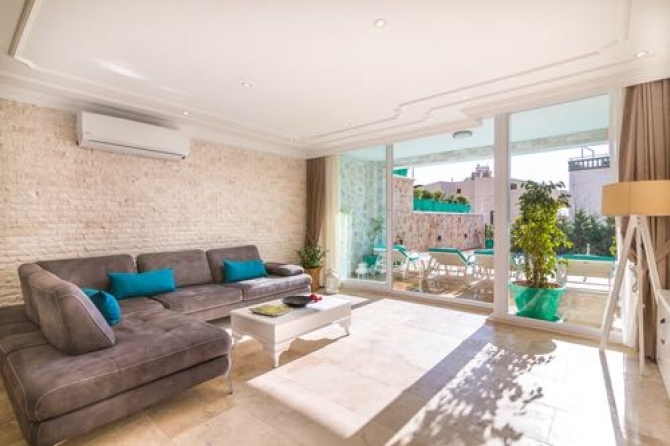 The location and quality of this apartment assures that there are high rental opportunities available with this property, giving any investor looking to purchase a holiday home with potential to rent out.